My non-scientific broad bean experiment has now come to an end. The result is clear, we are now eating broad beans from the polytunnel, whilst those outside are, as expected, now at an equal point, with small beans about 4 weeks away from being ready. 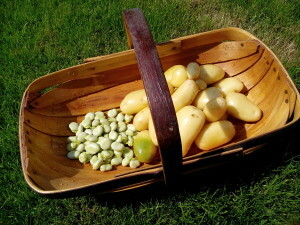 We are also eating early potatoes from the poytunnel. At last, the Clangers are returning next Monday. 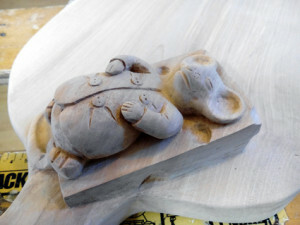 One of the supporting cast was the iron chicken. As a tribute to Oliver Postgate, I made an Iron Chicken. It is perhaps a little oversized, being 3 times the pattern size suggested in this book bought for me for my 50th birthday. 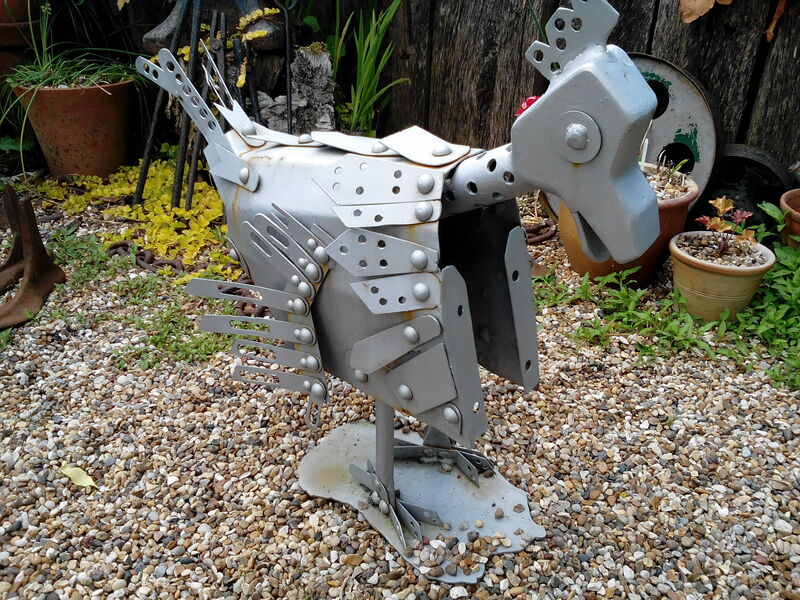 So this is it, my own personal iron chicken, made using a mixture of old and new skills: plasma cutting, fabrication, MIG welding and good old blacksmithing. Swarming season is upon us, a little late, like Spring, but undoubtedly here now. 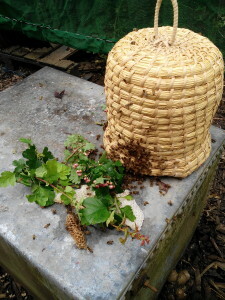 Today I collected a swarm from a neighbour, using my skep, which I made at a skep making course a couple of years ago. 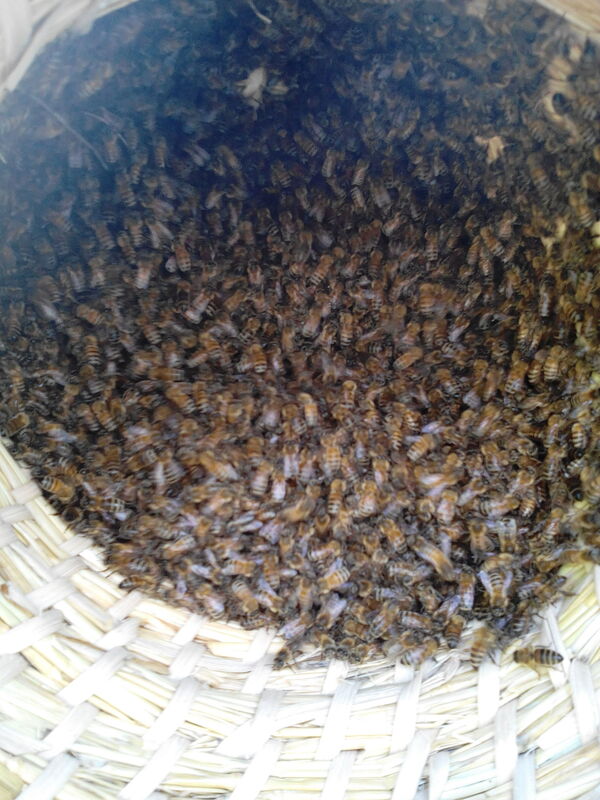 It is a simple process made to look quite dramatic by the sheer number of bees that take to the air as you shake them down into the skep. Providing you have the queen, the others will follow. The first picture shows the swarm in the tree, the second, the swarm knocked into the skep, the third, the swarm inside the skep, the fourth, back at my apiary and knocked into a hive and the final picture, the remaining bees walking into the hive in search of the queen and their natural instinct to walk up into the dark. As I mentioned in my last post, I spent the weekend with a group of friendly wood carvers. 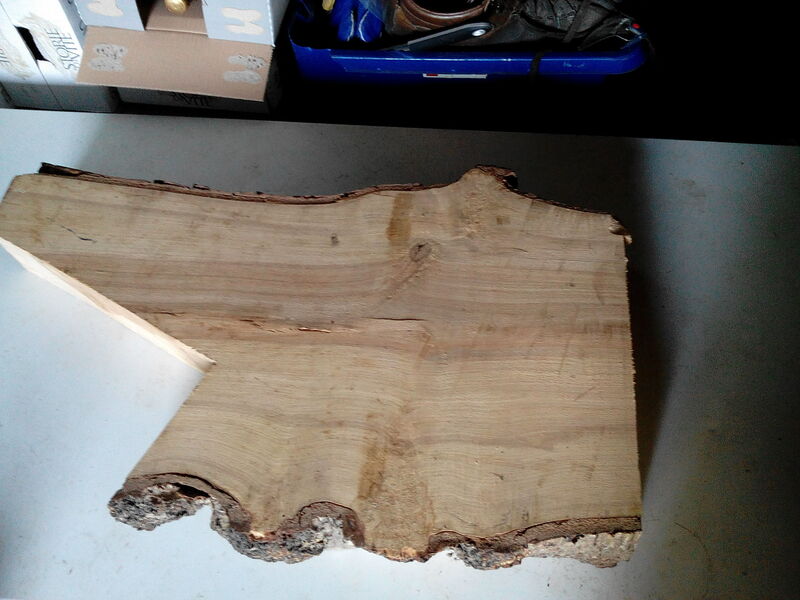 My project produced a cheeseboard from a slice of silver birch. 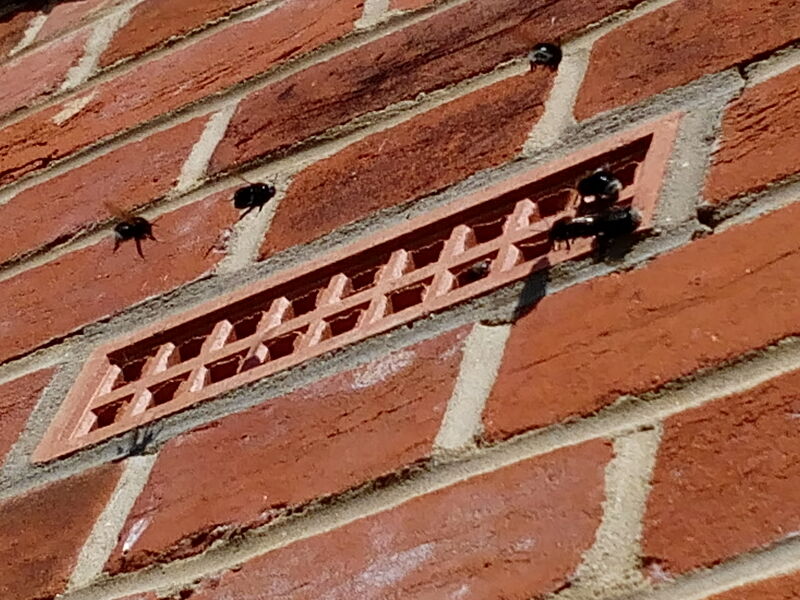 I have been on a wood carving course this weekend, more of which later, but importantly I came across my first bumble bee nest of the year at the hall. The picture is not great, but it gives me the opportunity to plead for care and consideration when faced with a bumble bee nest. If you find a bumble bee nest in the coming weeks (this one is in a house cavity with access through an air brick), then please try to leave them alone and enjoy them and their free pollinating service. 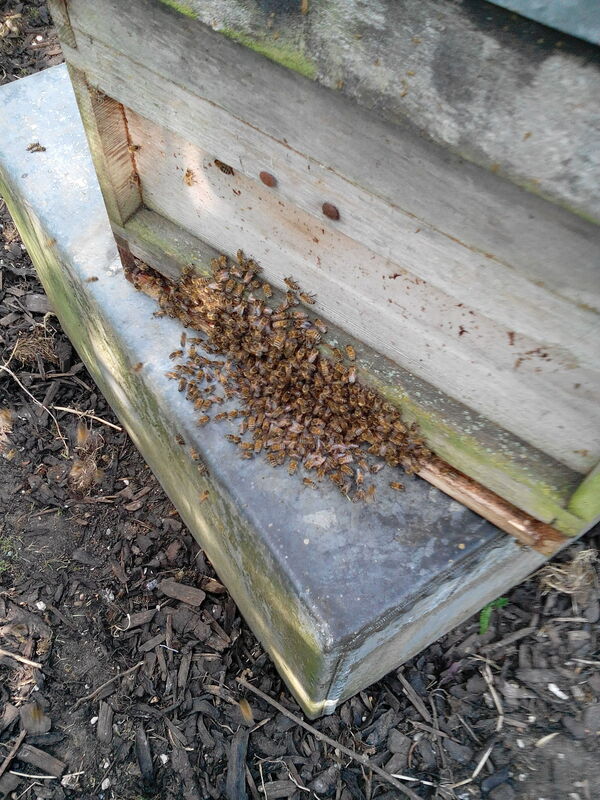 We need all the bees we can get and calling in the exterminators at the first sign of a few large fluffy bees is not to be done lightly. 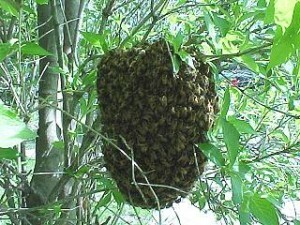 Bumble bees will die out in the Autumn and do not return to the same nest. 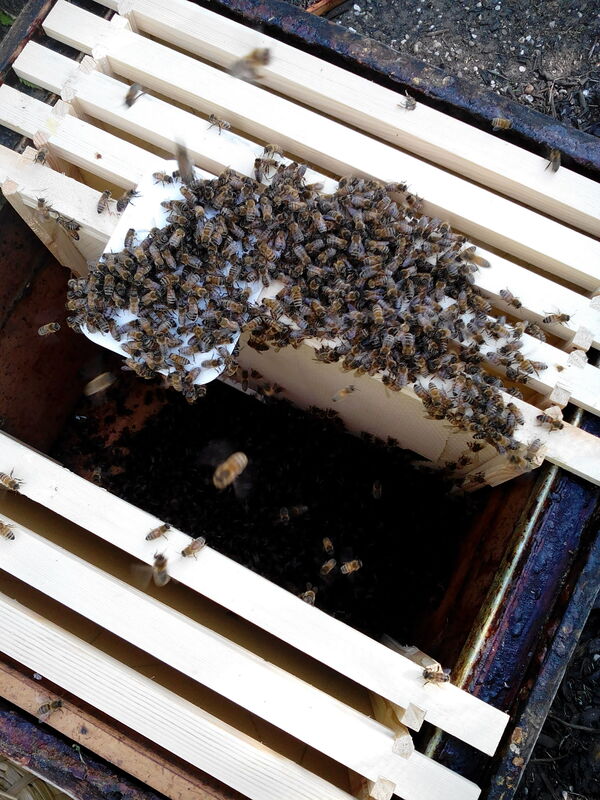 So even if you have bumble bees in a slightly inconvenient place then try to work with them for just a few weeks and then they will be gone. Only the queens survive winter and they hibernate, so if you find a large bumble bee in your compost heap in the cold Spring then it will be a hibernating queen, so please put her back carefully.